It's been a while since I've popped in with an edition of The Weekend Review, and that's been the product of a lack of disposable time. It's been a busy season around here, what with the move to the new place. But it's late September now, and we've managed to unpack most of the boxes before the leaves started turning, which was my secret goal. (Truth be told, Amber did most of the work; I try to give credit where credit is due.) There's still a lot to do at this house, but time has slowed a bit. In fact, it's slowed enough for me to bring you a few good links for your weekend reading pleasure. So let's slow down together. Shall we? Here's the good stuff, a few good links and videos to watch, or ponder, or read while you're altering your own pace. See? I have you covered. Enjoy. I may have discovered the Christian publishing industry's sleeper book of the year. 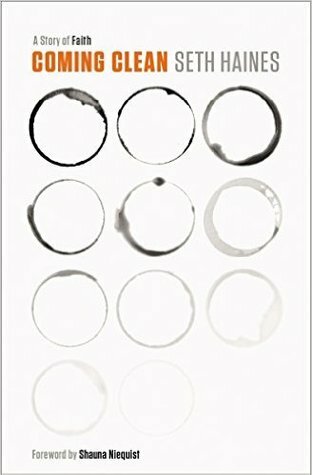 Midnight Jesus is a candid, compelling, and well-written account of Jamie Blaine's work in the mental health care industry. Blaine is a character (a pinball-playing metalhead of a Character to be exact) and he's written a book that rings true. At times tender and gentle, at other times witty and sardonic, Midnight Jesus is a certain page burner. This book isn't available until October 13, but you should pre-order your copy immediately. Trust me. You won't regret it. Speaking of books you won't regret, have you read Amber's book Wild in the Hollow? Perhaps I'm biased, but it's beautiful, vulnerable, and intimate. The book reads well if you can conjure a southern drawl, but if you can't have no fear. [tweetherder text="Wild In The Hollow by @AmberCHaines is available on Audible! Hear the book read in her sweet southern drawl! "]Amber's book is available on Audible, and she is the reader! [/tweetherder] Audible listeners follow this link and use your credits to download Wild in the Hollow. You'll love hearing Amber read in her own voice. 1. The Book of Common Prayer Lectionary--A Simple Daily Reading Plan. A few folks have asked whether I have a daily plan for reading scripture. I do. It's my practice to follow the daily lectionary from the Book of Common Prayer, which leads you through the majority of the Bible over a two year cycle. Don't have a copy of the BCP? Thanks to the good folks at Crossway, the ESV website contains a link to the BCP readings of the day. Bookmark this link; everyday, the reading plan is updated. 2. Winn Collier and his Good Ol' Words. I've been following Winn Collier's "Good Ol' Words" series, and let me tell you, it's good. This week he unpacked the word "preach." Don't miss it. "In its truest sense, to preach means to announce (to declare) good news. To preach is not to blast wild, thoughtless words or to pretend to own a private hotline for divine truth. Rather, to preach is to refuse to stay silent when a soul is weary or a body undone." 3. Shawn Smucker Sees Dead People. Shawn Smucker does nostalgia well. He does ghosts well, too. "Does he really see dead people," you ask?Maybe. You tell me. "Then there is the ghost of my grandfather. I see him in everything here: the tables he built that we still use, the old pieces of equipment he patched and fixed and tinkered with. I see him in every $5 bill, because those are the ones he slipped to me straight from the cash box with a gleam of mischief in his eye. I remember him when his old friend John stops by every year. John, a friend of my grandfather, and whenever he visits I look over my shoulder because surely my grandpa must be around here somewhere?" 4. Tanya Marlow and Social Media Addiction. Are you addicted to social media? Click, like; click, like; click, like. This is the experience of Tanya Marlow, and she entered the Recovery Room this week to share her story. Take a gander and ask yourself: do I need to come clean from social media addiction? 5. A Tiny Letter on The Quiet Sober. Have you signed up for my Tiny Letter newsletter? In my most recent edition, I'm discussing "The Quiet Sober," how the slower pace of life can lead us into a deeper sort of inner sobriety. Sign up and follow along! By now you've heard--my first book, Coming Clean, is available for pre-order (available October 27). Here's what you may not have heard, if you pre-order Coming Clean (Amazon, Barnes & Noble, or Givingtons), drop me an email to confirm, and I'll send you a copy of my FREE eBook Coming Clean|Austin Outtakes. In the Outtakes you'll read the backstory of the weekend I walked into sobriety, as told by the likes of Kristen Howerton, Preston Yancey, Heather King, and others. I like the Muppets. I like imagination. This seems like a no-brainer for your Saturday. Wild in the Hollow: A Birthday Bash! I was told once by a bunch of Calvinists that all things were predestined before the foundations of the earth. Death. Salvation. Destruction. The weather on May 21, 1996. The toast I ate for breakfast this morning, a touch burned. All of these things were chiseled in a stoney timeline even before God thundered "Let there be light!" over the void. All things planned. All means spinning toward the ultimate ends of God. These are the things once said by that Calvinist bunch. Perhaps its an oversimplification of some grander theological truth. I'm not sure. I'm a lawyer by trade, and I have no letters behind my name vouching for my theological prowess. I'm a simple layman, one who uses spiritual intuition and a sometimes confounding set of scriptures to understand the workings of the cosmos. But as untrue as this sort of hyperactive, robotic predestination construct feels most days, there are other days when I wonder whether we're not all just running down the record groves. This isn't so much about building a case for pet theologies, so don't curse the screen just yet. It's an exercise in recognizing a thing. The thing is a pulling or maybe a pushing. It's about things ordained. On a September Saturday in 1998, I sat in a stiff plastic chair in the Marie Hammon Student Center of Harding University. Marie Hammon was some long lost relative of mine--a great aunt, or fourth cousin, or some such. She was a wealthy Floridian spinster who'd made her fortune by virtue of marriage to a fortunate man. As the story goes, she was brutally murdered by her gardener on account of dispute over money or cocaine--depending on your perspective on the matter--and she'd left a sizable sum to the school on the stipulation that my sister and I attended for free. I never met Maria Hammon. She didn't much care for children, I was told. I sat with Christy, a senior who had a thing for my best friend's brother. She was a short shot, full of fire, vivacious. She could have been a thing, I've always thought, but she was off limits according to the Bro-Code, which is a lamentable but very real thing. Christy and I were were making small talk, wasting a cool weekend morning when Amber walked in the Student Center, loose tee sweats and a tee shirt. It could have been like any other of my first dates--a concert, a movie, some little triviality that drove me so crazy that I bolted. It wasn't. We were in sync from the beginning, found our rhythm from the minute she stepped down into my tiny black Mitsubishi Eclipse. In that silly little car--almost sporty--Amber told me she was a poet with supreme confidence. She wasn't going to be or hoping she'd grow up into like so many of the other girls on campus. She was, she said. A present, active, confident verb. She would write books, she said, or maybe lyrics. Who knew. Tides to the moon, we were pulled, and pulled, and pulled. It was the first date in a continuum of togetherness. Engagement on a snowy day in December. Marriage in an orange Indian Summer in Alabama. A bad stint in ministry. Graduate school programs--a Master's of Fine Arts for her; law school for me. A trip, maybe a fall. Maybe one for each of us. Whatever. A child, then another, then another, then another. Dark seasons. Seasons of light. Dream seasons; seasons of dreams. Through it all, Amber was a poet. A present action verb living and collecting experience. All of it was writing fodder, pen fuel. Today is the culmination of all the pushing and pulling. Over the last two years, Amber has worked on what would become her first book--Wild in the Hollow. It's a memoir about smallness, weakness, and finding the broken way home. It tells her story and a sizable chunk of our story. It's true, at times heavy, but never heavy handed. There's a poet's touch to the pages. We're still looking for the way home, Amber and I. Or perhaps the way home is looking for us. Who knows. I suppose it depends on how much Calvinism one can stomach without tossing one's theological cookies. Either way, today marks a step in Amber's journey into her fit; dare I say her calling? Who knows. I suppose time will tell. But today, we're celebrating the official release of Wild in the Hollow. Will you celebrate with us? You can send Amber congratulations on Facebook, or Twitter. And if you haven't picked up your copy of Wild in the Hollow yet, visit Amazon, Barnes & Noble, Givington's, or other fine book sellers. Join me in making this a special day for Amber.